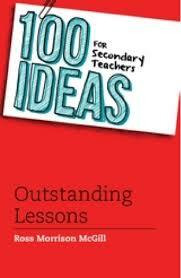 At about the same time as Zoe was writing her book review (here), I was also reading Ross McGill’s book “100 Ideas for Secondary Teachers” and, like Zoe, found a number of nice ideas and many reminders of tips and tricks. However I got ever so slightly uncomfortable when I read the section entitled “Don’t drink and teach!”. Now first let me clarify a couple of things: the section is not about refraining from alcohol consumption whilst teaching, but about refraining from having a cup of tea while in the classroom; and Ross himself noted that the idea might cause controversy and so my low level irritation was predicted. Ross, as you would expect, made some excellent points about the presence of a cup of tea in the classroom – what if an accident happened? (I would be very upset about a spillage on my iPad, I’m sure the IT people would be equally upset about a computer keyboard and a pupil would be upset by a tea stain on their pristine exercise book). I also realise that if having a cup of tea available means that the teacher feels the need to ignore the 30 pupils in the room, put their feet up on the desk and stare into the distance thinking that a nice scone would go down well, then the cup of tea probably isn’t a good idea. However, let me paint a different picture. One where the cup of tea is representative of a level of collaboration in the teaching team that can only have a positive effect on the learning experience of pupils. 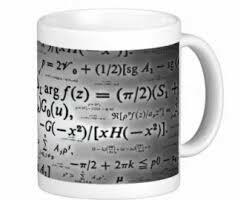 In the maths department where I work, my head of department (the lovely Mr Kevin Smith) sometimes brings in a cup of tea to me while I am teaching. 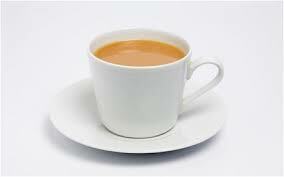 I am always extremely grateful because, well, I like a cup of tea. Do I always drink to bottom of the tea before it goes cold? No. Do the pupils all grasp their exercise books to their chests in fear of a tea stain? No. But does Mr Smith get to see what my class are doing, get a chance to chat to a few pupils, help a pupil who is struggling that I haven’t had chance to get to yet? Absolutely, and in a very relaxed manner without having to give the impression that he is ‘observing’ my lesson. What do the pupils see? They see me as someone in a team of teachers – a team who support each other. More generally, as a team of teachers, we often take each other a cup of tea, or coffee, or whatever drink is preferred. We go into each other’s classroom and often see something wonderful happening and then ask each other about it later – “that looked a really cool activity you were doing this morning – tell me about it”. The tea is not the only reason we wander into each others’ lessons – we share classrooms a lot and often leave behind resources, or forget that we need something in another room – but the culture of wandering in and out of classrooms is fairly prevalent. Not only do we get to see the great things that other teachers in the department are doing, but we support each other in answering questions from pupils and in accessing materials and resources. What do the pupils see in all this? – a team of teachers who are all working together to ensure that pupils achieve as well they can in their studies. As a department, we aim to ensure that pupils feel that they can access the support they need from anyone in the department, not just their own teacher. If they have a problem with homework, there are lots of people who can help them. By all supporting each other in a way which is visible to the students, we ensure that pupils feel they have a whole team of people supporting them. This practice is something which I understand is rife across departments at Beaumont School. Not only are we working collaboratively to share resources and ideas, but by making it very visible, we are allowing the pupils to see that collaboration is a sensible way to work and something which they too should be prepared to do if they are to succeed. I know that this is not what Ross was trying to stop when he suggested that a cup of tea in the classroom was a bad idea, but I for one would be sad to see it disappear.